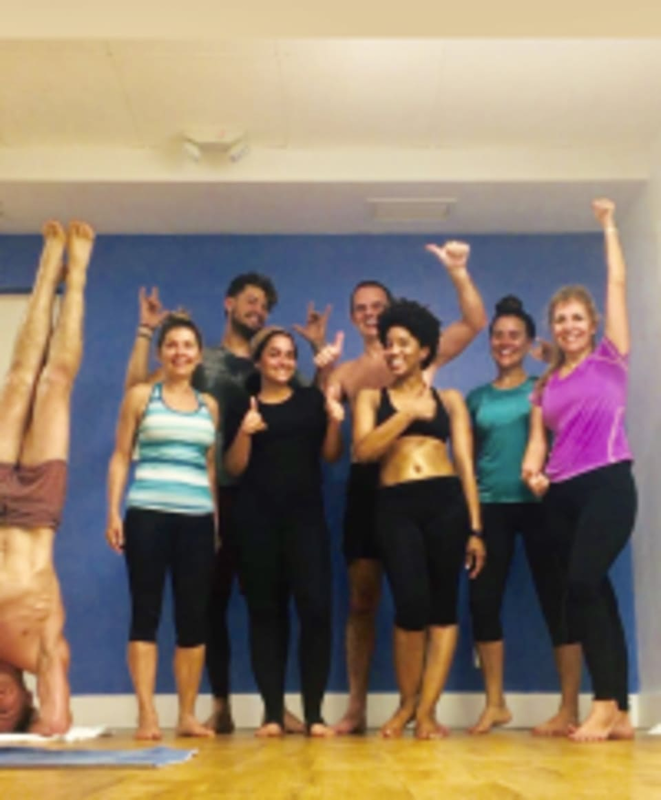 An edited version of the 90-minute class, this one-hour Hot Yoga class follows a set sequence of postures to work out every bone, ligament and joint in the body. Deep stretching leads to significantly increased flexibility and an unmatched sensation of accomplishment. Hydrate well before and after class. Wish studio had music during class. Class was great. Teacher was great. More for intermediate yoga goers as they teach and pace of class is fast. I loved it. Always amazing! Great sub teacher! The teacher is good for experienced students, but didn’t fully explain breathing exercises and poses where the neck is reaching back. Would not recommend for beginners. Amazing detox class. It pairs perfectly with any other fitness routine to release tightness and painful muscles. So happy I came and I feel like 1 million bucks afterwards. Patricia led an amazing power hour of bikram!!! Anna lead an amazing Hot Yoga 60! This is my favorite hot yoga studio. Its not very crowded but it is very good! Great instructor, love that the studio has hardwood floors, very nice class, thank you! Great teacher- well paced- good energy. Owner Martin super guy. Thanks for your feedback and sorry to hear you feel this class was not suited to you. Hopefully you will come back and try another class or another teacher. It is standard practice at the end of Hot Yoga classes that follow the Bikram-method for teachers to leave the room at the end leaving students to take as long as they want to rest/ meditate in savasana. At least a couple of minutes is recommended, but some prefer to stay 5-10 minutes after the class ends. It's a personal thing. Again, thank you, and hope you choose to come back soon. Good class. Room needed to be a tad hotter... hardly sweat. Thanks for your comments and pleased you enjoyed Dmitry's class. It's a challenge for sure to keep the room as hot as usual when we have sharp temperature drops, considering the front of the studio is all windows and we lose heat. We do turn the heat on several hours before class when it's cold outside to get the room as toasty as possible. Fortunately those chilly days are rare in Miami, so I'm sure you'll break more of a sweat on your next visit. Love this studio! Anna is funny and encouraging. I prefer hot 90 to this 60 minute version. Awesome bikram class! I was a little skeptical at first, but the instructor was awesome and the studio was clean and easy to practice in. Thanks for taking the time to share your impressions of the class and studio! Hope to see you soon, maybe to try out one of our other classes.